Long-term IT cost reduction requires more than just server consolidation and cuts to software licences. 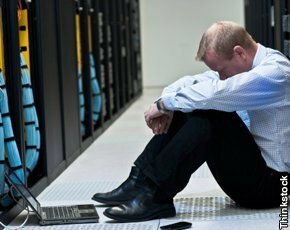 Programmes to reduce the cost of running IT have not led to major reduction costs unless headcount has also been slashed, according to Gartner. Driven by the tough economic climate, many IT leaders have been tasked with lowering costs. In research into at IT and infrastructure costs, Gartner found that while budget cuts appear to meet the needs of immediate cost control, the savings are well below expectations. Gartner clients admitted cost reduction strategies such as hardware rationalisation, virtualisation, datacentre site consolidation, selective headcount reductions and better management of software inventories often failed to reduce costs. In the report, Kumar warned that for the next five-plus years the proportion of the overall IT budget that goes into infrastructure and IT operations will continue to decline. At the same time, user expectations will increase – for example, for better performance, bring your own device (BYOD) and higher levels of security. “In simple terms, infrastructure and operations teams will have to deliver more with a proportionally smaller amount of money,” he wrote. Kumar recommended that CIOs hire people from the finance team to support cost-reduction programmes, since they will understand organisational structure and will be familiar with the financial tools used to monitor spending cuts.